How you found your way into art making? Ever since winning an art prize at the age of 5, I have always enjoyed artistic endeavours. I have not been to art college, but have attended a wide range of evening classes in varied craft media and have sold my artwork on and off since the age of 20. 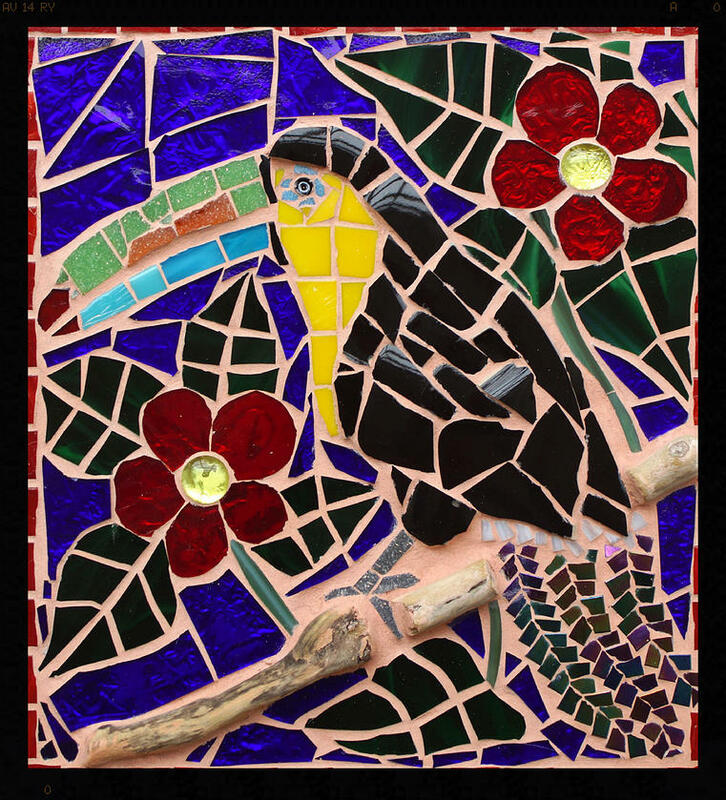 I started making mosaics about 4 years ago, following an adult education class in the medium and I really took to it. The beauty of mosaic making is that I don't need a studio and it is possible to create a mosaic from beginning to end on my kitchen table. What materials, techniques and themes you use in your work? I use mosaic tiles, found items from mud larking on the River Thames in London, including medieval pottery. Also drift wood and glass and other found items from the beaches around Edinburgh and smashed up glass and china. I am inspired by animals and the natural world and this theme always features in my work. There are certain animals that I am particularly drawn to. It's something about their colours and shapes, as well as really trying to make the animals in my work come to life and show their true essence. 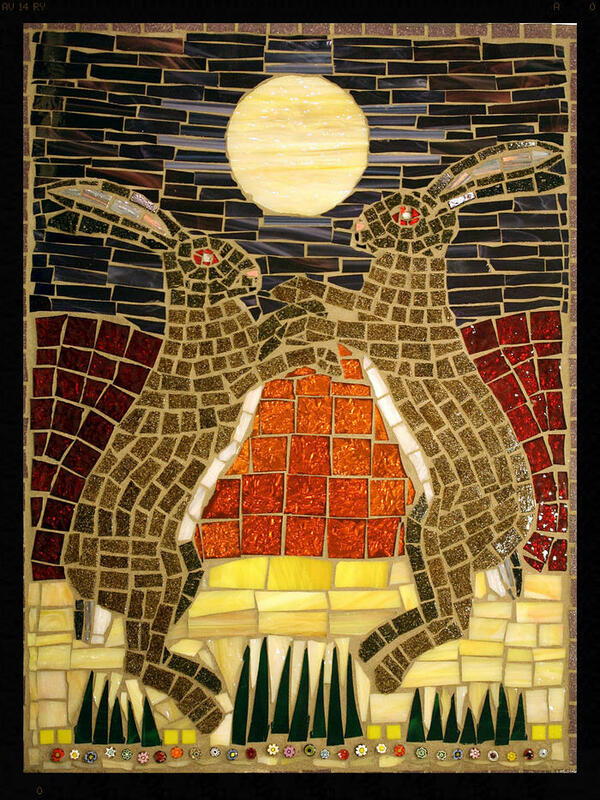 I love the translucent quality of glass and particularly like using glass in my mosaics. I also love colour and combining a whole range of colours in a piece that are aesthetically pleasing.